This is the new 2015 edition of the FAA's previous "Instrument Procedures Handbook" (previously the FAA-H-8083-16). This book covers all of the information needed to operate safely within the airspace system. 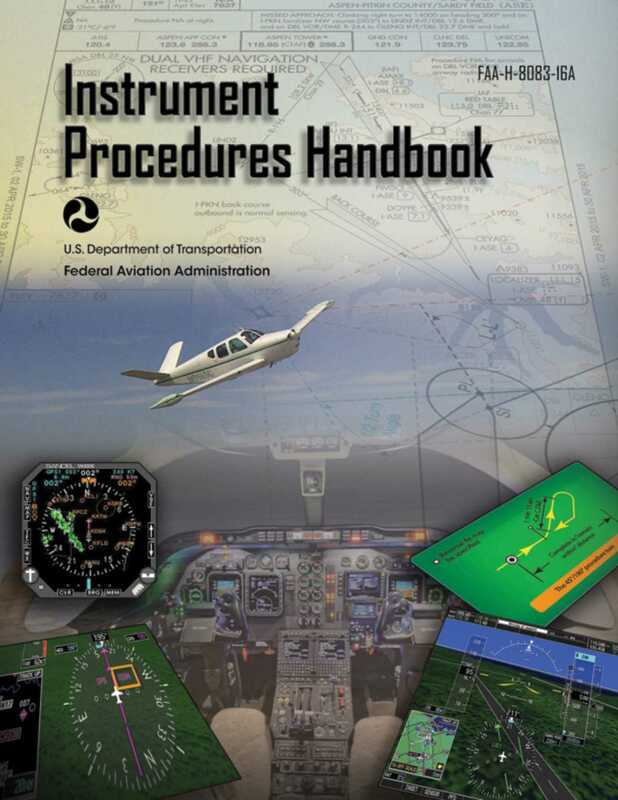 In the FAA's "Instrument Procedures Handbook" (#FAA-H-8083-16A) the emphasis is placed on operations and procedural information for real-world use, which makes this the next logical step for pilots after learning basic instrument skills from the FAA's "Instrument Flying Handbook" (#FAA-H-8083-15B). Using this book, pilots can more directly apply the concepts to their current flying situation, and learn how their acquired skills are best used in today’s IFR environment. Considered industry-wide as a top source for instrument procedures information and a must read” for all instrument pilots, this new 2015 edition brings pilots the latest changes to procedures and even more insights and guidance on how to operate safely within the national airspace system. Detailed information is provided for every navigation receiver and phase of flight on the required precision necessary to stay within protected airspace and to make a successful approach. While it was designed as a reference for professional pilots, the specialized glossary, index, full-color illustrations and photographs in this book make it a valuable training aid for flight instructors, instrument pilots, and instrument students alike. Each topic covered is well-detailed and explained in user-friendly terms, along with full-color depictions to aid understanding. Instrument flight instructors, pilots, and students will need this resource since it is used as a reference for the Airline Transport Pilot and Instrument Knowledge Tests and for the Practical Test Standards. Whether a pilot is a seasoned professional or recently completed an Instrument Rating course, this FAA handbook is sure to encourage more precise instrument techniques and ultimately create a safer pilot.